For many home or business owners, the roof of their building poses a riddle that is not very easy to solve. The good news? 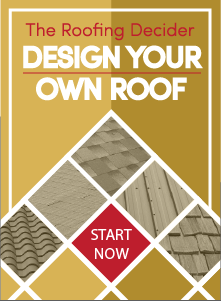 With a little bit of homework, it is easy to learn the fundamentals of what your roof needs. When it comes time to call a roofing contractor, you will be able to enter into the conversation and answer their questions for your property. Step One: What do You Need? Shingle roofs seldom last more than 20 years. While old age alone is not a deciding factor, it is a significant contributing reason for replacement. The average buyer may not be able to tell the difference between a mediocre shingle and one of the quality shingles available from Owens Corning. Finding a reputable roofing contractor with years of experience is a great step toward getting a superior asphalt shingle. Straight Line Roofing is a Preferred Platinum Owens Corning Contractor – we refuse to give our clients mediocre service and make a point to be as thorough and communicative as possible. After thoroughly weighing your choices and taking your time to select the best roof for your Elk Grove property, relying on the integrity and craftsmanship of a good roofing contractor is an excellent way to guarantee your satisfaction with your new roof. Contact Straight Line Roofing when you are in the market for a new shingle roof.